Hey, Pals! It’s no secret that I am so excited to get out in the yard. Not having dirty hands every day is just killing me. The only thing that can really be done this time of year is getting raised beds ready for the coming season, so I’m doing it! We started our raised bed gardens three years ago. Back then Finn was three and was finally old enough to want to be involved in helping outdoors. 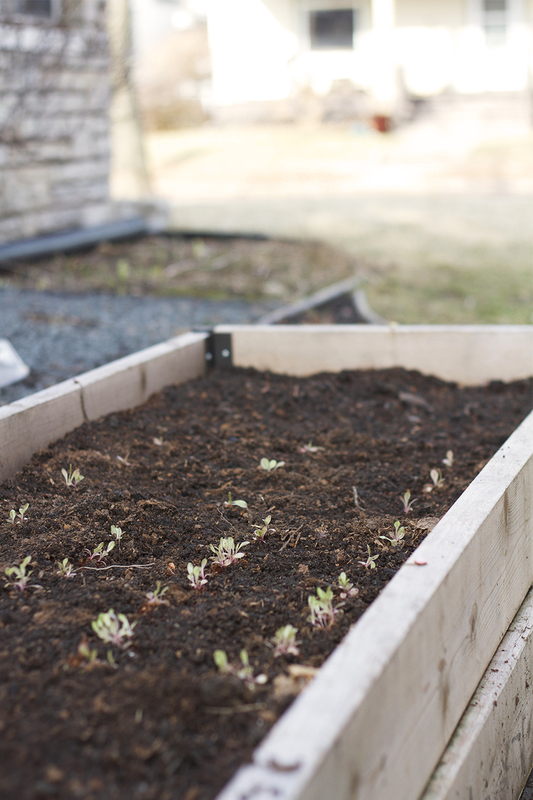 That spring Finn and I built our first raised bed, added soil, planted seeds and tended to it throughout the summer. It made me so incredibly happy to see the kid who refused to eat vegetables run out to the garden, grab dirt laden carrots out of the ground, and take a big bite. He also started begging me to go out to check and see if there were any peas or beans that needed eating. He’s been a helpful partner in gardening ever since the first year and I am so happy that he will have these memories as he grows. I have memories of being small and helping my Grandma pick vegetables out of her garden every night before supper. Radishes to be set out on the table and dipped in salt, greens for salads, strawberries, green beans and squash (I hated the squash). When I was a bit older my mom planted a garden in our backyard and I clearly remember how awesome it felt to be able to grab a hunk of sour rhubarb when we were playing in the backyard. These are the same experiences I want my kids to have. We don’t have a big suburban backyard, we just have our small city lot, but we have dedicated the sunnier side of the house to our two raised bed vegetable gardens. Not only are gardens valuable for the memories that come with them, but for practical purposes as well. Obviously these small gardens are providing vegetables for the family, but let’s be realistic, there isn’t enough for every dinner every night. We do a lot of supplementing with our CSA box throughout the summer. The big thing is that the kids are learning where food comes from, how it’s grown, and all the work it takes to produce a little bit of food. In these times of climate change and excess everything, we need to be vigilant and do what we can to reduce our ecological foot print, to me, that means buying local foods from local farmers. There’s no better way to instill this respect and understanding in kids than showing them first hand how it all happens. Okay, now let me swing my leg over my saddle here as I begin to step off my high horse. I’m not one to get super preachy, but this stuff is important to me, and I think it should be important to others too. Okay slowly lowering myself back down to the ground. No, you don’t have to have a garden to be an advocate for the environment, it’s just how we do. What I want you to know is that it doesn’t take much effort or space for a small garden and the lessons learned from it our really valuable. Please note Finn’s hawaiian shirt. 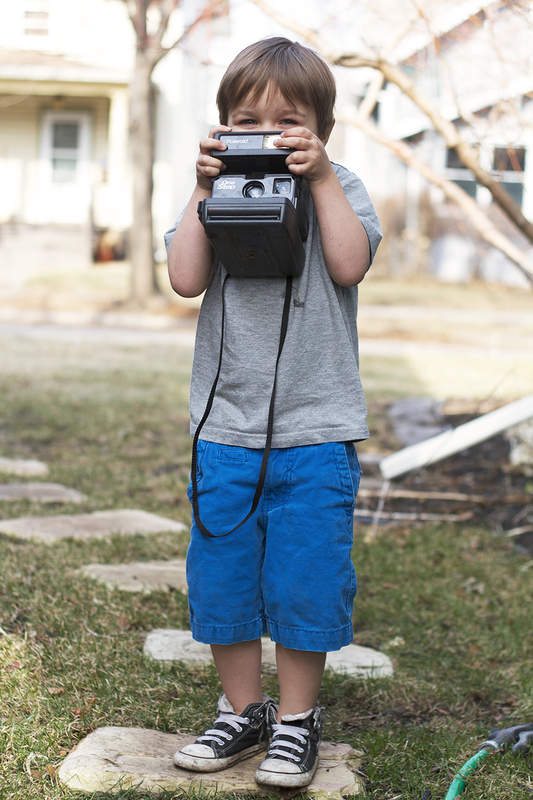 This was one of our first warm days of the year, and he was committed to wearing this shirt because what else would you wear on warm tropical-like days??? I am a horrible person and tried to get him to change his clothes so that he would look less like Hunter S. Thompson in gardening gear and more like the son of a blogger, but he refused. Also, Gus is three and he is excited about gardening too! 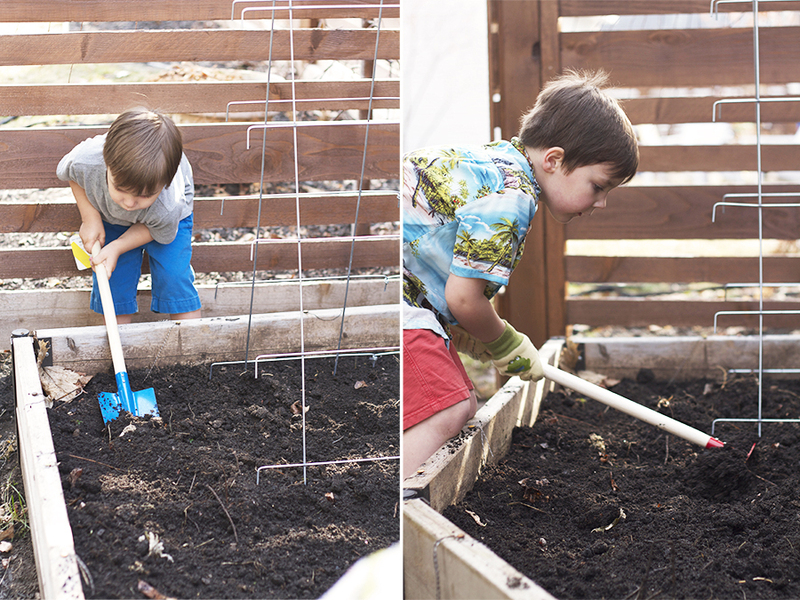 I guess three is the magical age in which digging in the dirt becomes fun if you are an Allen. I am so happy to have him share with Finn and I.
I mentioned that I was going to do some soil testing this year. Let me tell you som-sing, it was totally unsuccessful. I found out that the soil was neutral and the rest of the more specific test didn’t work, I failed them or they failed me, who knows. After two attempts testing I said screw it. 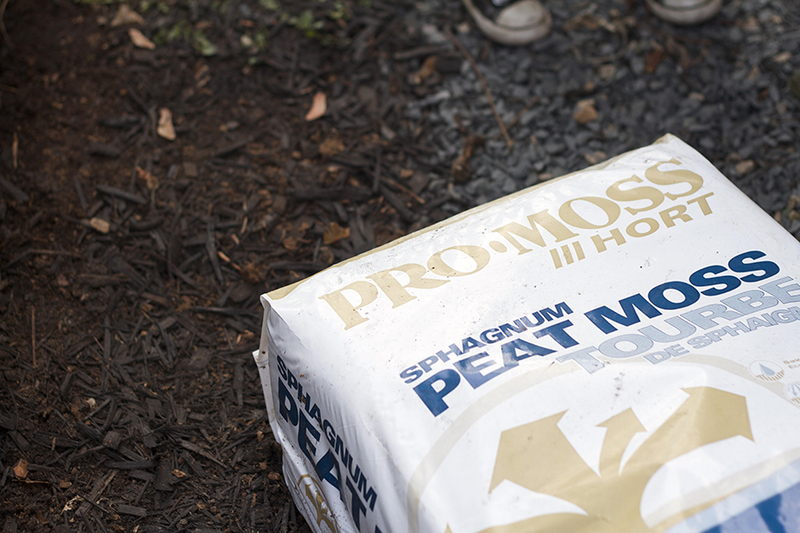 Instead, I did what I do every year and added a few bags of manure (or compost) to each garden bed, and a bunch of peat moss for drainage. I also had been collecting eggshells for the last few weeks and tossed those in their for good measure because pinterest told me I shoud. The kids were eager to turn over the soil and get all that cow poop mixed in. We moved some of our seedlings outside, including our leaf lettuce, kale, and broccoli. These green plants are up to the cold weather conditions of the spring. 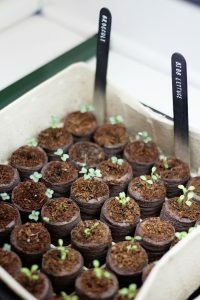 Later this week I plan on having the kids out to plant pea seeds. 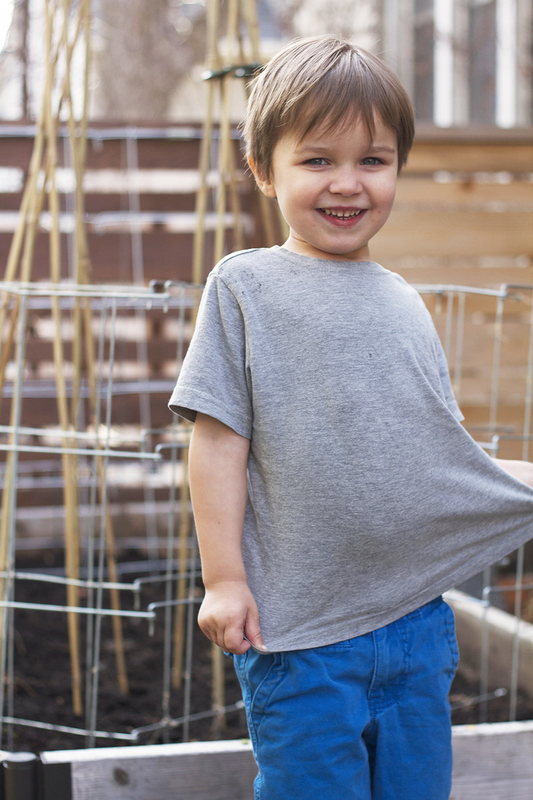 We bought a bunch of new kid gear at the gardening center this year. 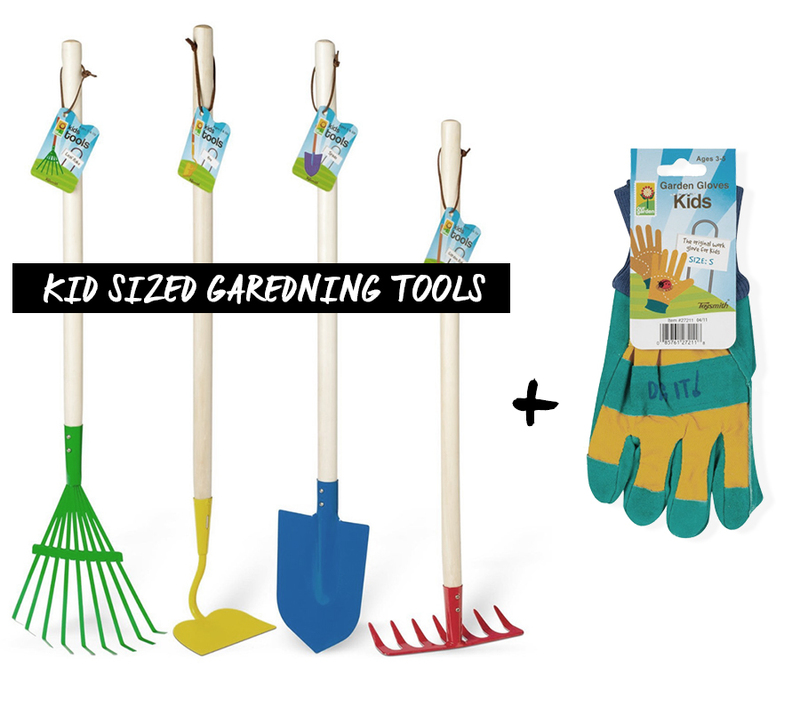 A round of gardening gloves for everyone and then kid sized tools to share. I couldn’t not post this pic. I love him all the loves. I love this!! I am also very very excited to get back into my 96 square feet of raised bed love. Interesting to know that soil testing was a fail. Everywhere you read, its all “get your soil tested! get your soil tested! !” and so I was thinking about it, but maybe I won’t bother. Throwing in some new compost and manure seems to do the trick. I LOL’d at your hilarity about Finn’s Hunter S. Thompson-esque Hawaiin shirt, as compared to him looking like the son of a blogger. That was hilarious! Cheers to being in the yard!! Hey Megan – I think I’d try the soil testing again next year just to see, but it might just be too much information for me. I don’t even know how I should be amending the soil if there was too much phosphorus, ya know? Why fix what’s not broke? Glad to hear it comes across as funny, sometimes I just don’t know! I am always a bit jealous of all your gardening space, it sounds wonderful. I just got my neighbor to build 90 square feet of raised beds on the side of his house, I’ll have to share on the blog sometime. I’m going to be gardening in his space too, I’m sure. “Small city lot” HA! If only our lot could be as “small” as yours! 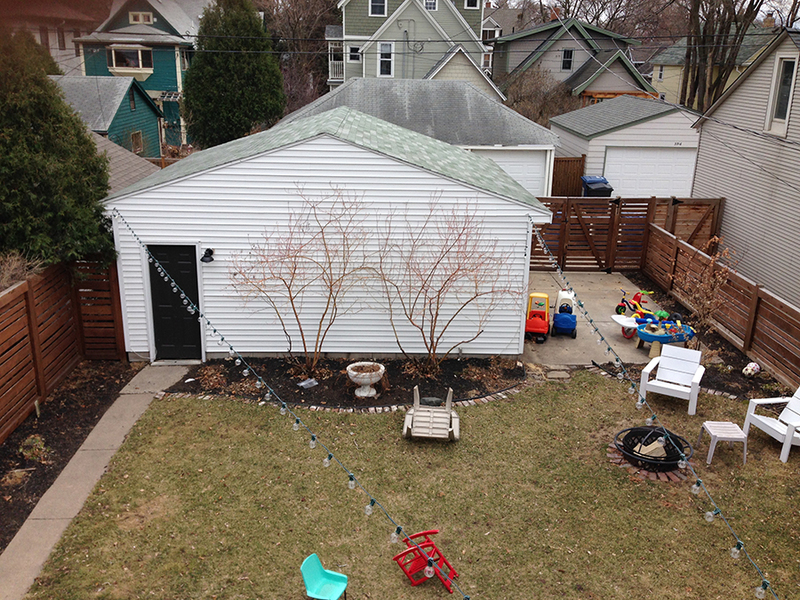 One of the first things we did after buying our place was to install a fence: one 11′ section connected to a 60′ section. That’s my entire yard, yo. We don’t even have space for a driveway (or other place to park). It’s all relative. Since I am only used to gardening in zones 8 and 9, I’m going to sit down with a landscaper to help me plan the bits of yard we’re going to garden. The local garden center has a deal where you pay $100 for a conference with their master landscaper and he plans as little or as much as you want. At the end they give you a $50 gift card, so it’s a pretty good deal. Everything I grew in my yard in Texas is considered a house plant here, so I’m not sure where to even begin. Hey Stacey! Sounds like your garden center has a pretty good deal – go for it! I wish I could help with suggestions with your zone, but as you probably have assumed, I have no experience at all. I wish you this best of luck with it, sounds like a fun adventure. You’re right, small is relative, it all depends where you live. A quarter of our yard is eaten up by our garage and we enclosed the parking space last year to have more room for the kids to play. I *live* for your gardening posts. Seriously, I had a really crazy addiction to them last year :). Excited to follow along this year. Also, you have two of the most adorable boys I’ve ever seen. I feel bad I’ve never gushed over them, cause I’m a mom and I like hearing how cool my kid is, ha. Oh man, that makes me so happy that you like these posts and thanks for commenting on the boys, I think they’re pretty cute too. Your gardening posts are the best! I’m about to get my 4 raised beds ready across the river in St. Paul, maybe this weekend or next if the weather is cooperative. 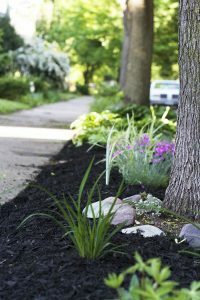 Do you do anything to prevent weeds? Pinterest kept telling me to try a newspaper weed barrier, so I might do that. Can’t wait to follow along as your garden grows! Oh man, that is so, so awesome! You’re going to love your gardens. So this is what I can tell you about the weeds. Are your beds going to be deep? Mine are 16″ or so and I just covered up all the grass with soil. It’s too much dirt for it to grow through. 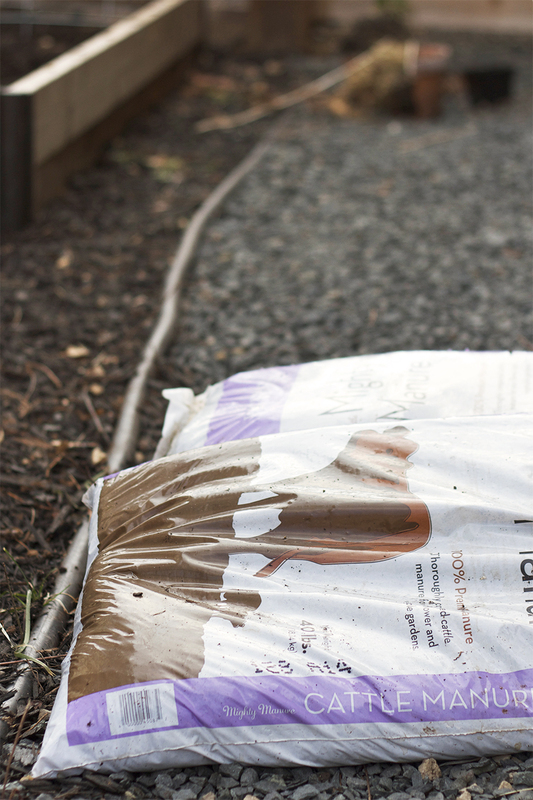 Around the edge of my garden I made a bed of mulch and I used newspaper to keep the weeds down and it worked. I really didn’t think it was going to. I used a lot of paper though. I grabbed a bunch of city pages and would use half the magazine for an entire layer. So lay it on thick. I also used a lawn edger to tuck the paper up tight to the raised beds. You can see some pics over here too. Love to see a home/decor blogger talking about climate change–so many are silent and the disconnect is disconcerting! I’ve got a teeny space for gardening (containers, maybe 9 sq ft) but I’m enjoying getting my seeds and bulbs started. So far just my flowers–I have such limited space for starting that what I can get as seedlings, I will. So happy for you, Julia, gardening is the best, even if you just have a little space for it. Glad you are making the effort.